Tags: Deep Orange, Heavy, Pishwas. 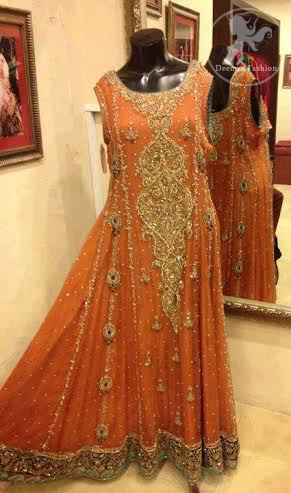 Orange large flared frock has been embellished with long neckline on front and back. Deep red heavy embroidered applique border implemented on hemline. Embellished strips and motifs implemented on sides panels. 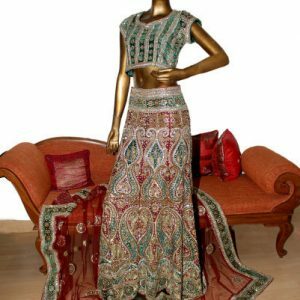 This dress is specially for Mehndi.